Originally published on Storytellers Unplugged on 9/30/2012. It was a sign hung over a shop in a picturesque side street of a small Japanese town. Everything else – all the signage, everything pertinent to what it was actually selling – was in Japanese, and therefore beyond my comprehension – but this, the main shop sign, this was in English. And it said “Middles”. To most people it might just be an amusing curiosity. But to me, with a writer’s mindset and worldview… this was potentially the Open Sesame cave of every treasure known to those of us who scribble. Because, you see, middles are often the DIFFICULT part. You are frequently visited by a bolt-from-the-blue absolutely perfect opening line. Mostly you eventually hit upon , or are blessed by, a satisfying envoi at the end of your tale. But getting from the beginning to the end – that bridge – that muddle in the middle – the MIDDLE – the bones of the story… ay, there’s the rub. Let me put it this way. There are no more original ideas. The last original idea for a story was told around a campfire while men still lived in caves. Everything else told and re-told since has been a question of trying to find a new angle, a new light to shine on old, old tales, on stories which were old long before you, and your generation of writers, arose to tell and re-tell them. The journeys are already known, and pretty well documented – you can find travel guides so old and dog-eared that you cannot believe that they are still in one piece and yet you will still recognize the travels they speak of. The roads have been worn into ruts by the tread of many feet, and the stations have been in the same places for thousands of years. What matters is no longer the starting point and the destination of any given journey. It’s the manner in which you take the trip, how you travel, the roads you take to get there. If you don’t believe me on this try this for an exercise: take any book you like, and synopsize it until you have reduced it to the bare bones of the story. Take out any identifying names, characters, places, settings, times. Until all you left is the story, ma’am, just the story. By the time you are done you will have something spare and gaunt, a skeleton of words, nothing so much as a DESCRIPTION of the story. Now take a good long look at this “description of the story” and see if you can’t think of another book it fits just as well. Odds are you won’t find that hard, even when you do it again, and again, and again. The story is the same – only the cut and the fashion of the coat it wears changes with time. But finding a coat that is interesting enough to put on that hoary old story body and that makes it look all bright-eyed and seductive once again, that’s the hard part – and that’s why a writer’s eyes light up at a shop sign that says “middles”. Because maybe that’s where you would find those coats. Oh, the places we could go! I could just imagine wandering into a magical store with boxes and boxes upon shelves, piled high from floor to ceiling, carefully labeled like a collection of butterflies. And you could walk in there with a promising beginning, those shining few paragraphs of promise that dangle in front of you and tempt you forward into the morass of the Middle Ground – and you could stick that beginning on a table and then take out middles from likely boxes and see how they fit and where they could be joined. And they’d be perfect, all of them, and none of them would ever get boring, or frustrating, or bogged down in details you don’t want or need but which you helplessly watch piling up like dust bunnies under every piece of plot furniture you have in the place. They would never trick you, or lead you down blind alleys, or tease you with mysteries you have no idea how to resolve, or leave you with either not enough information (so that you have to scramble and scrape to fill out something to the size and shape of a proper Story) or too much of it (so that your tale starts vomiting up infodumps you KNOW are Way Too Much Information but you seem completely incapable of standing in the way of because they are runaway Mack trucks and they’ll run you over if you try. Writing a story middle is akin to crafting a fine bridge which will serve to take your reader across a raging story river while staying safe and dry. It has to be sturdy enough to bear the reader’s weight. It has to be fascinating enough to hold the reader’s interest. It has to be long enough to reach from one bank to another. It can’t have missing bits in the middle. If it is precarious anywhere that has to be a built-in design, you have to have MEANT to do that, and you have to be good enough to carry off the precariousness to the point where the reader is left merely breathless from the adventure and not on the verge of a panic attack about their own personal safety. It can’t be boring. It can’t be too safe. It can’t look like a thousand other bridges the reader has already crossed and is comfortably familiar with and yet it has to be exactly like those other bridges because otherwise the reader will be too scared or too put off to venture on it in the first place. 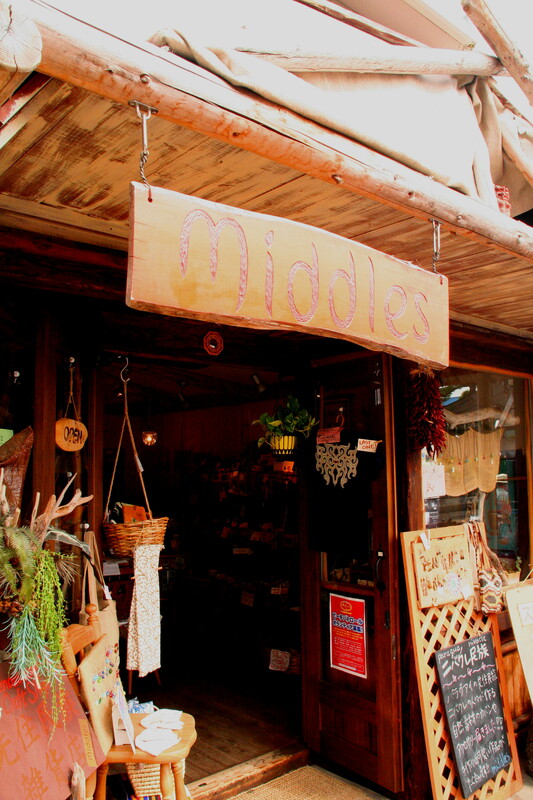 The “Middles” shop in Japan sold nothing of the sort, of course. Alma Alexander’s life so far has prepared her very well for her chosen career. She was born in a country which no longer exists on the maps, has lived and worked in seven countries on four continents (and in cyberspace! ), has climbed mountains, dived in coral reefs, flown small planes, swum with dolphins, touched two-thousand-year-old tiles in a gate out of Babylon. She is a novelist, anthologist and short story writer who currently shares her life between the Pacific Northwest of the USA (where she lives with her husband and two cats) and the wonderful fantasy worlds of her own imagination. You can find out more about Alma on her website, her Facebook page or her (other) blog.